Softline's Lubi Daybed convinces with its classic elegance and clear geometric shapes. The daybed was designed by Kur Brandt in 1996 and has lost nothing of its timeless character to this day. The Lubi Daybed is functional and practical. It can be used as a normal sofa, as a day bed or as a single or double bed. Due to its classic design, the daybed blends in well with any ambience and does not appear obtrusive. A beautiful detail is the cushion in cylinder form, which provides for a high comfort when lying down. The skid frame of the daybed is made of chromed steel. 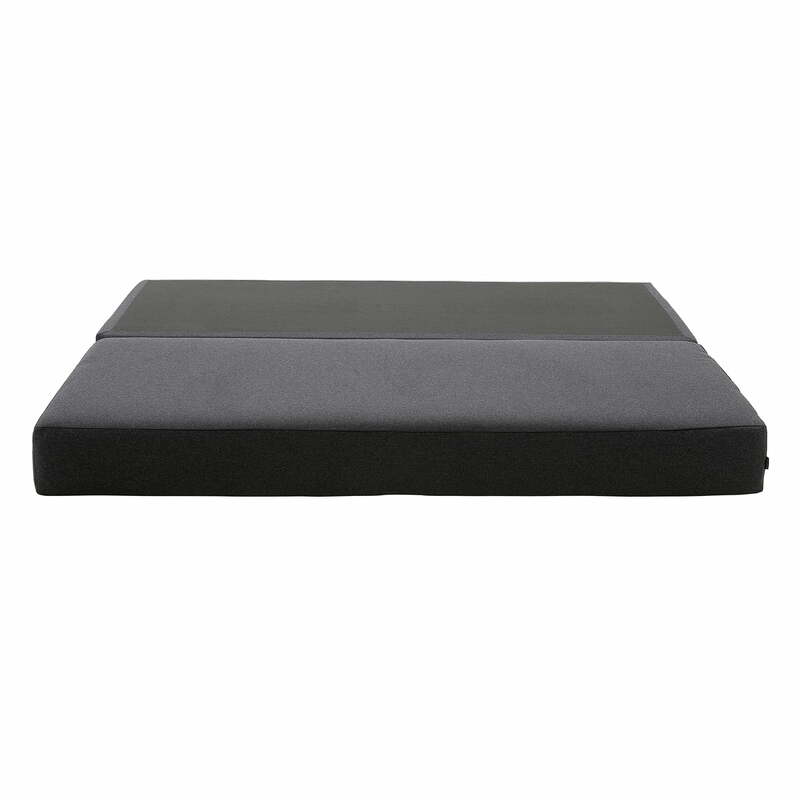 The padding is made of foam and is optionally available with a pocket spring core. For the cover you can choose between different fabrics and colours. 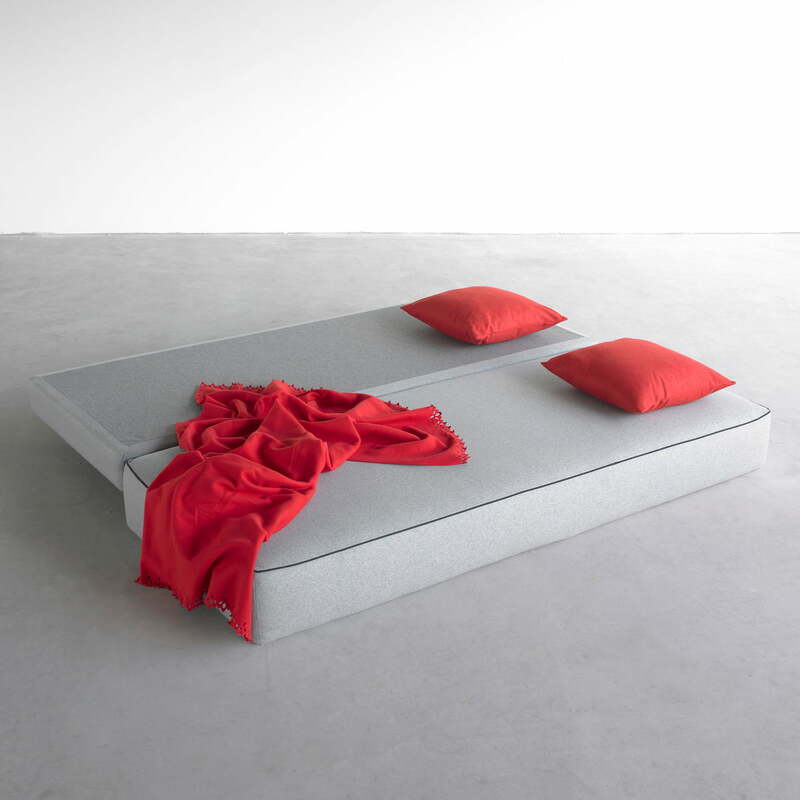 So the daybed fits into every ambience. Due to its classic design, the daybed blends in well with any ambience and does not appear obtrusive. A beautiful detail is the cushion in cylinder form, which provides for a high comfort when lying down. 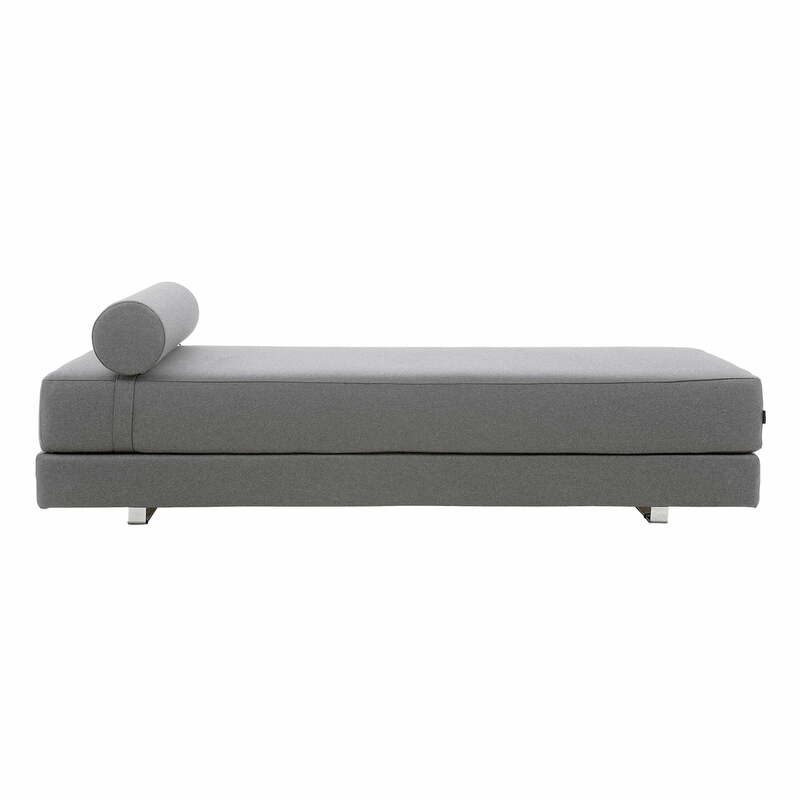 The Lubi Daybed by Softline in Vision dark grey (439) is functional and practical. It can be used as a normal sofa, as a day bed or as a single or double bed.